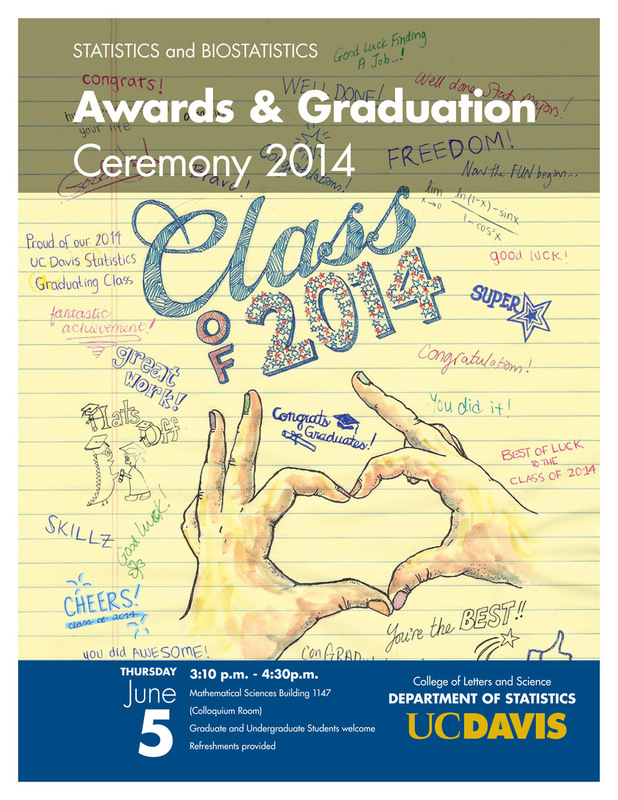 Please join us on June 5th to celebrate this year’s graduating Statistics and Biostatistics Ph.D., M.S. and Statistics undergraduate degree recipients in our annual Awards and Graduation Ceremony. 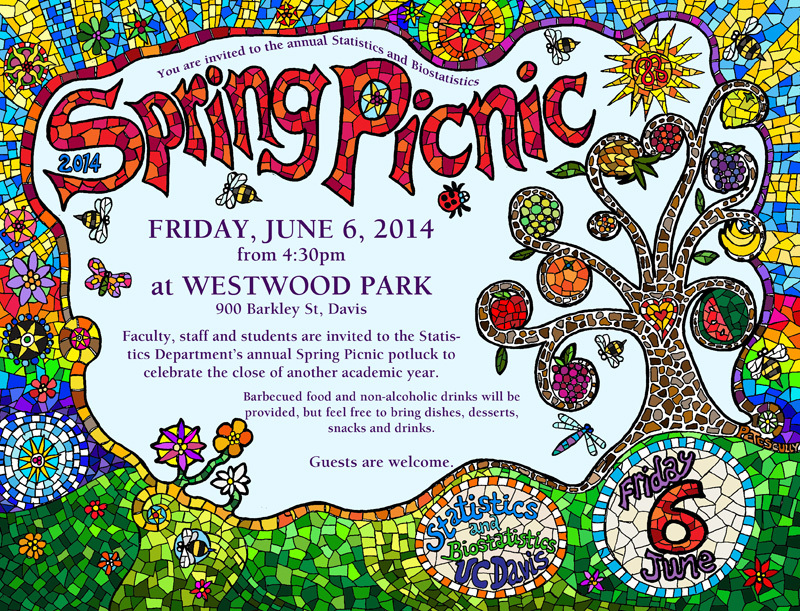 Please join us for the annual Statistics and Biostatistics Spring Picnic! WHERE: Westwood Park (900 Barkley Street, west Davis).